SEAN PENN in "Milk," Richard Jenkins in "The Visitor," Frank Langella in "Frost/Nixon," Brad Pitt in "The Curious Case of Benjamin Button," Mickey Rourke in "The Wrestler"
KATE WINSLET in "The Reader," Anne Hathaway in "Rachel Getting Married," Angelina Jolie in "Changeling," Melissa Leo in "Frozen River," Meryl Streep in "Doubt"
HEATH LEDGER in "The Dark Knight," Josh Brolin in "Milk," Robert Downey, Jr. in "Tropic Thunder," Philip Seymour Hoffman in "Doubt," Michael Shannon in "Revolutionary Road"
PENELOPE CRUZ in "Vicky Cristina Barcelona," Amy Adams in "Doubt," Viola Davis in "Doubt," Taraji P. Henson in "The Curious Case of Benjamin Button," Marisa Tomei in "The Wrestler"
2008 represented the continued rise of smaller studios and development companies, proven by the dominance of the Best Picture-winning independent film Slumdog Millionaire. The low-budget film was made for only $15 million, had no American superstars, lots of foreign-language dialogue, and it struggled to find a distributor. It also had a 'feel-good' theme and romantic sub-plot, a song/dance finale, an Oscar-winning song "Jai Ho," while at the same time exhibiting the extreme poverty of India. Its major competitor, the big-budget The Curious Case of Benjamin Button, was produced by a major studio (a co-production between Warner Bros. and Paramount), featured major stars, an extensive marketing campaign, a well-respected director, and expensive CGI-effects. And it suffered a record loss among films with 13 nominations -- it had the fewest wins for any film with that many nods. There were nine first-time nominees in the 20 acting performance slots. Five of the acting nominees were previous winners: Sean Penn, Philip Seymour Hoffman, Angelina Jolie, Meryl Streep and Marisa Tomei. Sean Penn became the ninth actor in Academy history to win a second Best Actor Oscar. 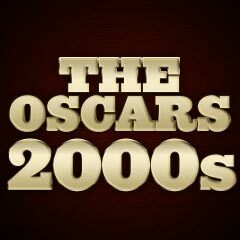 All four Oscar-winning performers this year: Penn, Winslet, Ledger, and Cruz, had been nominated at least once before, something that hadn't happened since 1994. The Best Supporting Actor winner was the heavily-favored 28 year-old deceased Australian actor Heath Ledger (with his second nomination, following a Best Actor nomination for Brokeback Mountain (2005)) as the wildly psychotic villain, The Joker, in Christopher Nolan's moody cape-and-cowl superhero sequel The Dark Knight (with 8 nominations and only 2 wins, including Best Sound Editing); this was the seventh posthumous nomination in Academy history (won only once previously by Peter Finch). Doubt became the 4th film in Academy history to receive 4 acting nominations WITHOUT a Best Picture nomination. The other three were: My Man Godfrey (1936), I Remember Mama (1948), and Othello (1965). Jerry Lewis, who was never nominated for an Academy Award, was presented with the Jean Hersholt Humanitarian Award. Although Jonathan Demme's innovative and critically-hailed Rachel Getting Married had a single acting nomination (and lost), it had no other nominations (specifically Best Director or Best Picture, and Rosemarie DeWitt's supporting role). And most glaringly, there were no nominations for actor/director Clint Eastwood, either for his dramatic role in Gran Torino or for his directing of Changeling. Remarkably, Slumdog Millionaire was lacking in any acting nominations (for Dev Patel and Freida Pinto), fairly rare for a Best Picture-winning film. Director Darren Aronofsky was denied an Oscar nomination for The Wrestler, and the film's nominations were unsuccessful. And Oliver Stone's biopic W. starring Josh Brolin as President George W. Bush was devoid of any Oscars' recognition - and it was a surprise that Brolin was nominated for his supporting role in Milk instead. Unfortunately, there were no acting nominations for Saul Dibb's splendid 18th century costume drama The Duchess (with two nominations and one win (Best Costume Design) and Best Art Direction), although they were deserved for Keira Knightley as the title character - a witty and attractive 17 year-old naive aristocrat Georgiana Spencer, who was set up and then trapped in an emotionally-distant, arranged marriage with callous, loathsome, but regal and powerful Duke of Devonshire William Cavendish (Ralph Fiennes). Best Animated Feature Film winner Wall-E was not nominated for Best Picture (although it had six nominations total and only one win), thereby preserving Beauty and the Beast (1991) as the only animated feature to be nominated for the top Oscar. Wall-E's six nominations tied it with Beauty and the Beast (1991) as the most-nominated animated film. It was a surprise to have Kate Winslet nominated for her lesser role in The Reader (which then became a momentous first Oscar win for her), rather than as a Best Actress candidate for her husband/director Sam Mendes' Revolutionary Road, and that her co-star Leonardo DiCaprio for the latter was un-nominated for his portrayal of Winslet's husband. Two glaring acting omissions included Sally Hawkins for her role as North London schoolteacher Poppy in Mike Leigh's Happy-Go-Lucky, and Kristin Scott Thomas as released and ravaged murder convict Juliette Fontaine in writer/director Philippe Claudel's debut French film I've Loved You So Long, as well as nominations for Jeffrey Wright (as Muddy Waters) and Beyonce Knowles (as Etta James) for their performances in writer/director Darnell Martin's fictionalized musical biopic of the 1950s-60s Chicago-based Chess Records saga, Cadillac Records. In addition, Michelle Williams was left out for her role as struggling, downtrodden and broke drifter Wendy with her dog Lucy, in director Kelly Reichardt's Wendy and Lucy. Three other performances were overlooked: Benicio del Toro as the revolutionary Ernesto 'Che' Guevara in Steven Soderbergh's two-part epic biopic Che, Philip Seymour Hoffman as regional theater director Caden Cotard staging his magnum opus in New York City in first-time director Charlie Kaufman's black comedy Synechdoche, New York, and James Franco as Harvey Milk's (Sean Penn) pre-election gay lover Scott Smith in Milk. There was some question about Brad Pitt's nomination for his CGI-assisted role as the title character in The Curious Case of Benjamin Button, when his role as unscrupulous gym trainer Chad Feldheimer in the Coen Brothers' Burn After Reading was more memorable, while Pitt's co-star Cate Blanchett was ignored for her role as Benjamin Button's romantic soulmate Daisy. Many critics were surprised by the blatant snub-omission of Bruce Springsteen in the Best Original Song category (he won the Golden Globe Award) for the theme song (in the closing credits) for The Wrestler.